To pay for your custom work from us, please enter your price amount and place order as normal. Every software comes with a refund period indicated on its product page (usually 15 days). Our refund policy is a no-questions-asked, no-hassle policy. You may refund for any reason or no reason within the refund period. We are that confident in our products and want every customer to be happy. May I install the software on my development / staging server? Yes, absolutely. You may install on an unlimited number of staging / development installations. How many production installations may I install the extension? You may install the extension on one production installation per order. If you have more than one production installation of Magento, then you may take advantage of our bulk discounts. Support refers to the free support period where we will provide guideance. Does the software include an installation guide? Yes, a very detailed guide is included. Does the software include a user guide? Yes, a user guide is included. Is the software difficult to install? Like anything it depends on your technical ability. Our installation guide is very detailed and the vast majority of our customers install the extension themselves without an issue. Based on this it appears to be easy to install. Can I order installation at a later date if needed? Yes, you may order installation at any time. Can you install on both my development and production environment? Yes, but this will be 2 installation charges. Do I need to purchase multiple licenses if I own multiple stores? Not if they are part of the same Magento installation. If they are separate Magento installations, then you need to purchase multiple licenses. Please contact support and we can offer you a discount. 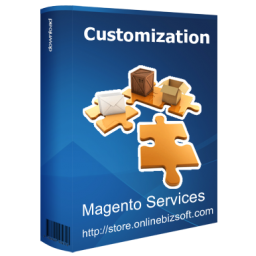 OnlinebizSoft is hands down the best, most dedicated and professional extension developer for Magento. Before making our purchase we did a lot research on every major player in the Magento extension community. We looked at past reviews, amount of time being a "contributing" member of the Magento community, frequency of updates to products, and most importantly....support response time and communication... OnlinebizSoft beat the competition on every level. OnlinebizSoft really extended themselves to us and has been there every step of the way with every little bump in the road. Since using OnlinebizSoft extensions and services, our web stores conversion rate has significantly improved. Amazing service, I bought 3 modules recently. OnlineBiz Team installed all of them for me. They answered all my questions almost promptly. I even do not know in which country they are located but they were available on line by e-mail almost at any time. I let OnlineBiz team install the module on my production site without being anxious. I have some free third party modules already, there is always a risk that the third party modules may come in conflict with each other. I’m very happy with the service and the products and will buy some more soon. I purchased extension from OnlinebizSoft a while back and their support has been absolutely amazing. In one instance it wasn't even their issue but they still diagnosed the problem (something I had broken) and fixed it. For me, they are the true of service and delivery. OnelineBiz support team is just wonderful. really did fabulous job. i am enjoying a lot while working with them. they are man of words and never leave you in trouble. If you are considering buying anything from OnelineBiz just go ahead and press the buy button, you will not be disappointed. Cheers!! !